Two years ago a cell phone with touch sensitive screen were a trendy device. 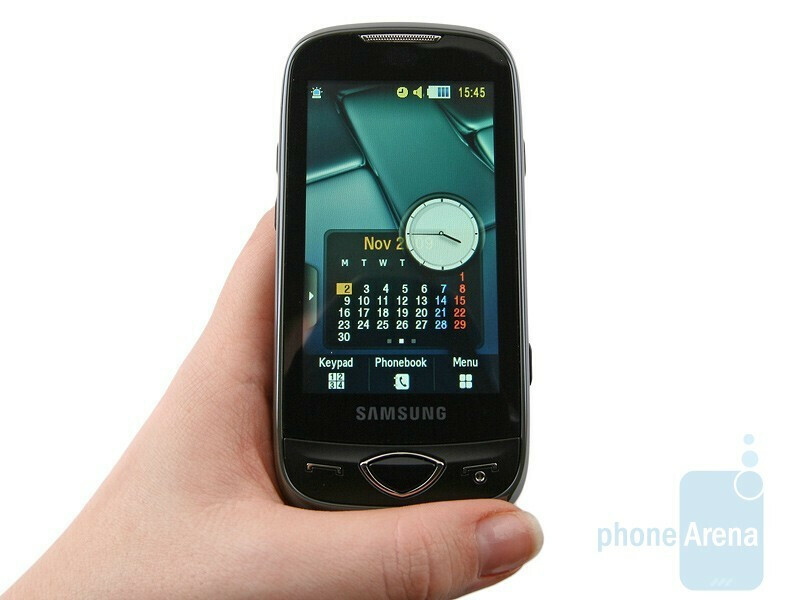 Now, at the end of 2009 they are a dime a dozen and there are even entry level handsets equipped with such a display. Some manufacturers (mostly Samsung and LG really) have taken it to heart to offer at least one handset with touchscreen in every single product class of their cell phone catalogues and the compact Samsung S5560 (also known as Marvel) owns its existence to the this particular policy – it´s a mainstream device that offers more extra features than the popular Samsung Star S5230, but is inferior to the capable Jet S8000. 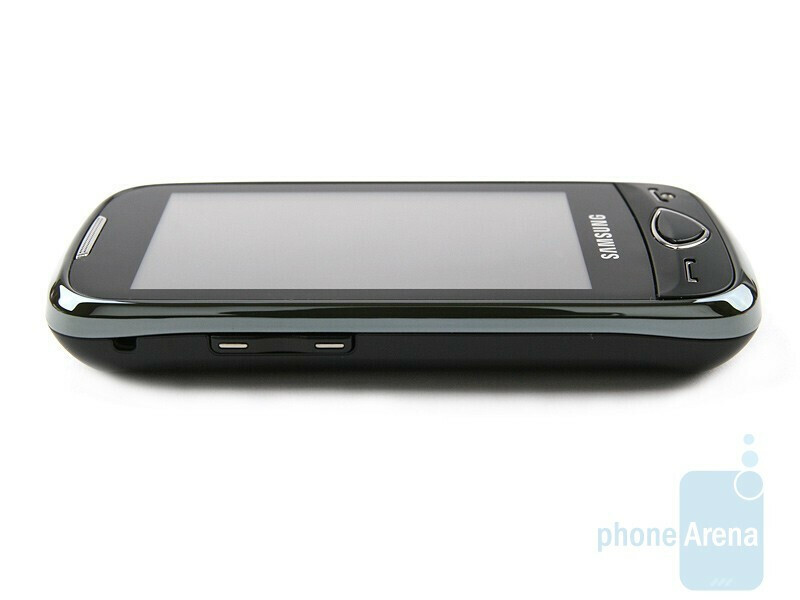 It´s equipped with 5-megapixel camera, 3-inch display and Wi-Fi, but lacks 3G connectivity. 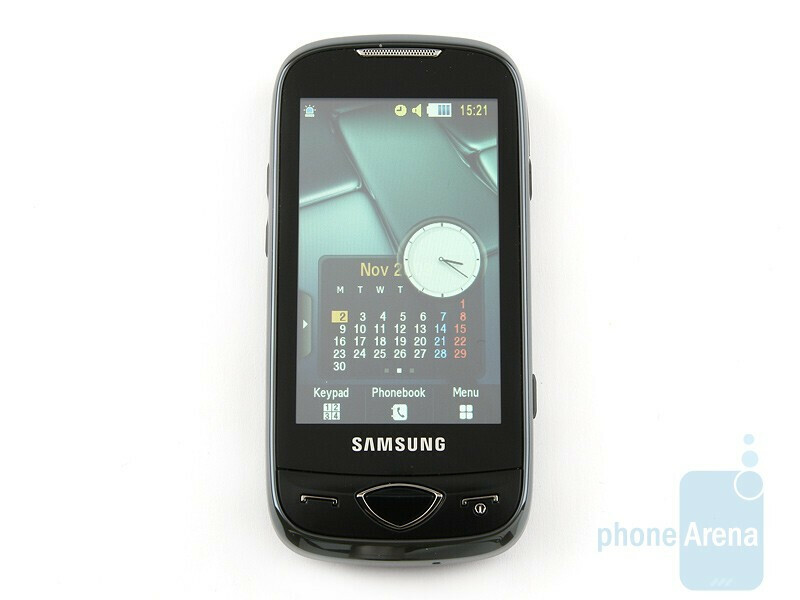 Similarly to all latest Samsung´s handsets with touch-sensitive screens, the S5560 sports three handy buttons on its front – send and end keys and an oddly shaped button that gets you a step back into menus. The 3-inch WQVGA resolution screen above them offers pleasing image quality indoors, although it turns into a proper mirror in direct sunlight and gets uncomfortable to use. It has decent overall sensitivity for a resistive display, but it´s definitely below par alongside of the Samsung Jet S8000. On the sides you have volume rocker, camera shutter and screen lock/unlock button and we have to say we didn’t have any problems with them. 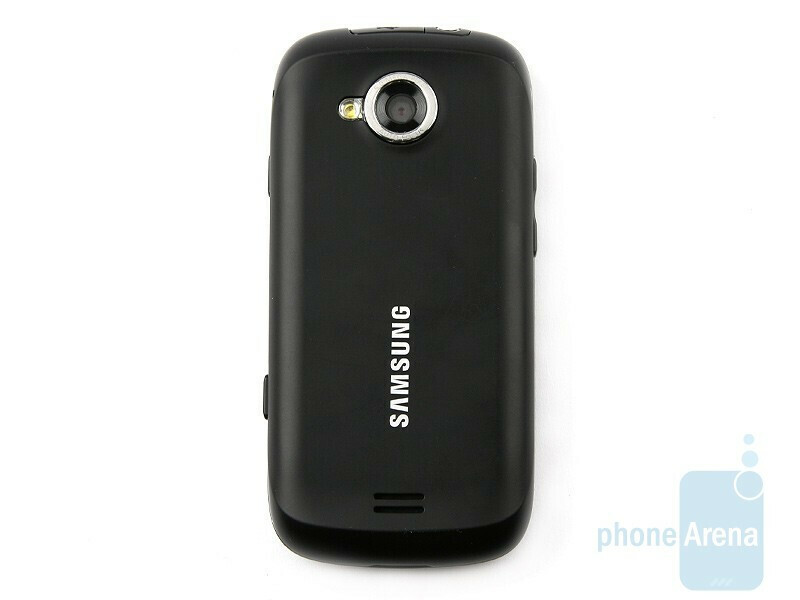 The Samsung S5560 is charged via microUSB slot located on the top side, next to the 3.5mm jack. The back of the phone is matted, has a pleasing shape and allows for proper grip, which is always a definite plus. 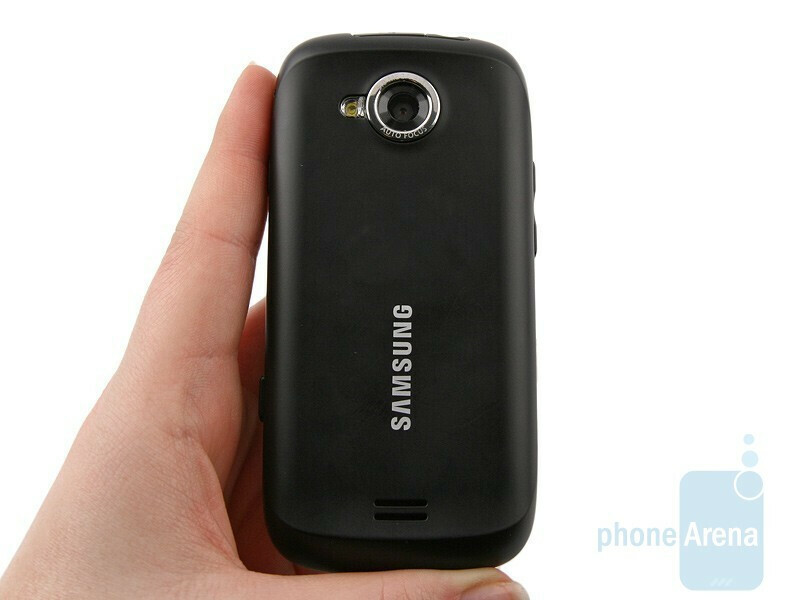 The Samsung S5560 didn´t exactly wow anyone who saw it, but still, it looks well and comes with proper build quality. The phone looks really good for its class, hope Samsung will continue this overall design trend - including matte soft back instead of the ever present shiny plastic that looks and feels cheap even in their expensive phones (like Omnia II). If the screen resolution was a bit higher, and the video recording was of a better quality, S5560 would've been a very interesting phone, ready to compete even with some big boys among customers that don't really need 3G and smartphone capabilities - hey, you've got Wi-Fi and an excellent browser here.BTW, thank you, Phone Arena guys, for your fantastic reviews and for keeping us well-informed. I got this phone 2nd hand from a friend. Though skeptical at first (no 3G, 2nd cam for video calls which I do so often because I live and work away from my family), I got to love the phone! The WiFi compensates for the lack of 3G, the camera is very good, though not at par with my Sony Ericsson K850i which has the same number of pixels, 5 and I love what I can do with the widgets! Best part of it all is the battery life, one of the best. For one full charge I got to surf both on WiFi and EDGE, call and be called on (accumulated minutes 42), text and play some music (I only have a few because most of my music is on my iPod Touch) and it still had 2 bars of juice, AFTER 5 days! ive had it for just over a year and now it touch sencitivity the lock key and the 1 back button gone weird i wouln''t buy this phone if needed for long term.